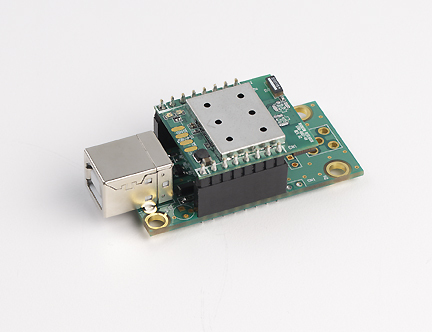 The Radicom Research WiFiHU series is a secure WiFi module that easily adds WiFi connectivity to virtually any processor-based device. 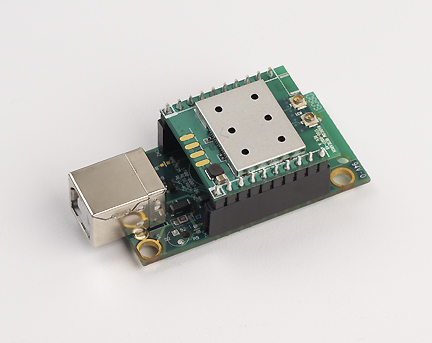 The module is IEEE802.11 b/g/n™ compatible with a USB2.0 interface. With reliable transmissions, this USB wireless device can achieve over-the-air data throughput of up to 150Mbps downstream PHY rates. The WiFiHU protects the host with WEP/WPA/WPA2 compliant security protocols. The module is power efficient. There are two models available, WiFiHU-a and WiFiHU-c. The WiFiHU-a has Dual Chip Antenna built-in eliminating the need for costly and time-consuming RF development and shortens time to market. The WiFiHU-c has two U.FL connectors for attaching antenna cables and antennas allowing flexibility to place antennas at desired locations. 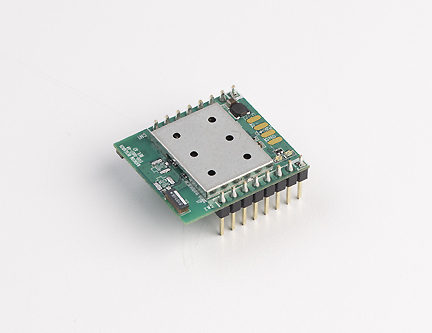 Size (inches) 1" x 1.1" x 0.25" 1" x 1.1" x 0.25"
WiFi USB Module with dual on board chip antenna. Not for use with external antenna. Allows designer to determine USB Jack placement. WiFiHU-a installed in a carrier board with on board USB Jack. 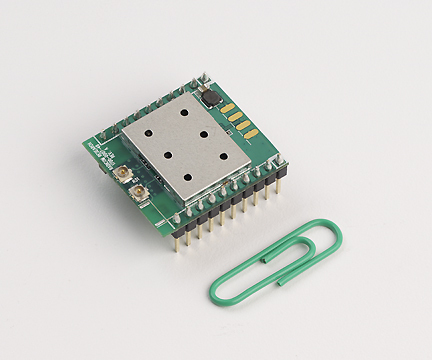 Complete Wi-Fi module with dual chip antenna with USB Jack interface. WiFi USB Module with two U.FL. Connectors for attaching antenna cables and antennas. WiFiHU-c installed in a carrier board with on board USB Jack. Replacement antenna, 2.4GHz, 2dBi, RP-SMA, Omni-directional. Including one WiFiHU-a-1-NE, one USB cable (A-to-B)and Drivers. Including one WiFiHU-c-1-NE, one USB cable, 2 antenna cables, 2 antennas and Drivers. Pin spacing is 0.100 inch from center to center. Square pins - 0.025" x 0.025"